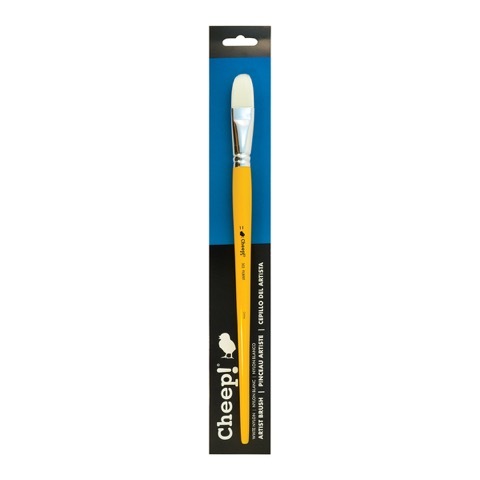 White Nylon Long Handle Artist Brushes Cheep! Cheep! white nylon brushes are an economical line of brushes that don’t compromise on quality. Brushes feature aluminum ferrules and long painted handles. White nylon is perfect for use with oil and acrylic paint.